Table top photo frame overall size 8 x 10 with 4x6 photo opening. 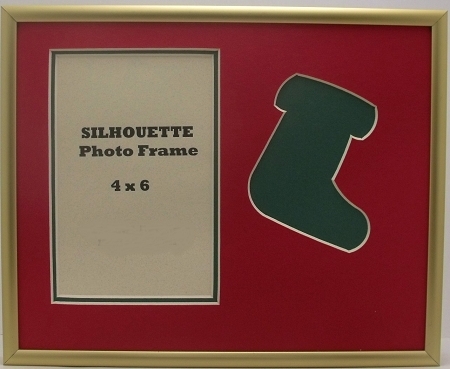 Unique carved silhouette image of a green Christmas stocking with a red top mat. 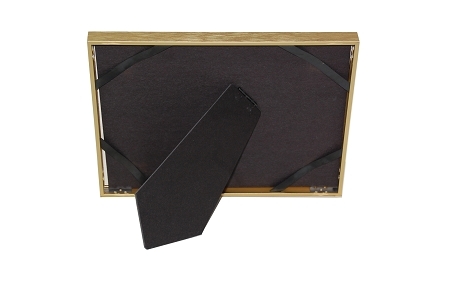 Satin gold metal frame, easy access from the back includes photo mount board, easel, glass and gift box.